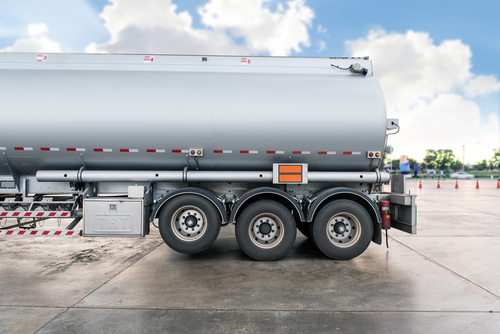 When it comes to finding the most suitable storage solution for your business’ fuel needs, it goes without saying that bunded fuel tanks are not only the safest and most reliable option around, but they are also required by law, thanks to recently established legislation. Thanks to their well-rounded resilience, strength and durability, bunded steel tanks are extremely beneficial when used within industry in the UK, and around the world. A broad variety of different sectors – including many that you wouldn’t even consider, are heavily reliant on bunded tanks in order to go about their daily business. If your business is in need of fuel storage and you are currently reviewing your options when choosing the right oil tank, then please keep reading. We’ve put together a list of some of the biggest industries that utilise bunded fuel tanks, and the significant benefits that they offer our customers. Firstly, it is important to note the difference between single skin and bunded tanks. Single skin tanks are a lightweight and cost-effective short-term solution for storing smaller quantities of fuel. Single skin tanks offer much more limited protection against accidents and spills, which means that there are more impositions in terms of where you can keep your tank. Bunded tanks have a secondary container that is 110% the size of the actual storage capacity, meaning that any leaks, spills or accidents are contained safely, without causing damage to the environment or wasting your investment. One of the biggest industries to make use of bunded fuel tanks is haulage. This industry is almost entirely reliant on transport, which means its employees spend a lot of time on the road, often driving heavy duty HGV Lorries. Buying fuel in bulk is the most cost-effective method of keeping their business on the road, which requires a substantial and solid storage solution. Our range of suitable fuel tanks ensures that minimal wastage occurs to keep your business in the black. We offer large capacity tanks of up to 200,000 litres to make sure that you can make the most of the fuel prices, at a time that suits you. Working in the agricultural industry is a labour intensive and demanding business to be a part of. Growing crops and rearing livestock requires a lot of large capacity storage tanks for both water and food, as well as the operation of heavy machinery – which relies on fuel to keep the industry going. The isolated, rural locations of farms often mean that fuel needs to be purchased in bulk, as a depletion of reserves can take a lot longer to recover from and can cause immeasurable damage to the business. Bunded tanks offer both agricultural businesses and farm owners the protection they need to ensure that accidents are prevented; avoiding financial losses as well as expensive environmental damage. The aviation industry is one that deals with transporting both passengers and freight around the world using air travel. Travelling at high speed and height requires a significant amount of fuel for every flight, so hangars and airports need to be prepared to accommodate flying needs. 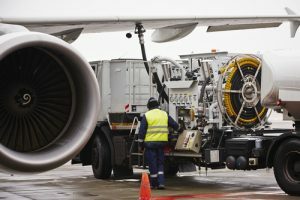 With numerous aircraft on the ground and in the air at any given time, there is a need for vast amounts of fuel storage. Bunded tanks offer the industry a vital safety precaution that reduces the risk of spillages, which could be fatal if they react badly with other chemicals and substances required to keep aircraft running. The UK has been a part of the shipbuilding industry since the industrial revolution and is a long-standing piece of British history. As well as the need for vast amounts of metal-like steel and engineers; ships need fuel and other chemicals to get them from A to B, which is where our tanks come into play. The danger of fuel spills is even bigger in a shipyard, as even the smallest spill can contaminate a large area of water, causing harm to many different species of fish, birds and more in the sea, as well as on beaches and land. A bunded tank is an essential requirement for environmentally responsible businesses in this industry. While the construction industry is largely reliant on building materials such as bricks, concrete and lumber, there are many different pieces of machinery and vehicles for transportation required to get the job done. These items are often petrol or diesel fuelled, which means construction businesses need to have fuel readily available. As with ship building, there are a number of different materials on site that can easily be contaminated and need to be stored correctly to keep costs down, as well as minimising wastage and preventing accidents. For that reason, a tank that includes a bund is used to avoid any unnecessary collateral damage. The cost of fuel fluctuates on a daily basis, so buying in bulk is a long-term investment that needs to be protected. Storing fuels and other liquids that are used in a commercial setting require the highest quality facilities and expertise. Bunded fuel tanks are the solution you have been looking for, to guarantee that your business doesn’t fall foul to theft; doesn’t lose money due to accidents and leaks, and can compete at the highest level in its industry with ease. As the UK’s number one manufacturer of storage tanks, Tuffa Tanks can offer you all of this and more. Thanks to our team of hard-working industry experts, we can create tanks to spec that comply with all regulations in mind to give you peace of mind. You can find out more about bunded fuel tanks and regulations here. For more information about our range of storage tanks, please browse our website or contact us on 01889 567700 to speak to our team.